Protecting your business form unforeseen events is essential. There are various types of insurance that your enterprise must have and a range of insurances that you can choose to buy to give your enterprise additional cover. What the Buncefield disaster showed every business was that you can never be too prepared for events like this. Insurance can not only provide a financial safety net, it can also give you peace of mind as you know that if the worst did happen, your business will have the resources to recover. No matter which type of insurance you need for your business, it’s always advisable to get professional help before you choose a policy. All insurance brokers are regulated by the FSA (Financial Services Authority). You can check that the broker you want to use is covered by the FSA by visiting their website: www.fsa.gov.uk. You can also use the Institute of Insurance Brokers [www.iib-uk.com] or the British Insurance Brokers’ Association [www.biba.org.uk] to locate a broker. This type of insurance cover will ensure that if your premises are broken into and essential machinery or equipment stolen, you can replace these items and continue to trade. Often, a special type of contents insurance called indemnity cover is used by businesses as the wear and tear of the items covered is taken into consideration. The premises that your business operates from also need covering by insurance. If you have a fire or adverse weather conditions cause any damage, this type of insurance will give you the money to make any repairs that are needed. If you lease you premises your landlord is usually responsible for buildings insurance. But don’t take this for granted. Check with them so you are aware of any special clauses in your lease agreement that relate to buildings insurance. This type of insurance only applies to businesses that come into contact with the public. If your enterprise trades online for instance, this insurance would not be needed. However, if your online business trades from an office that the public visit, you would need this insurance just in case anything happened while they were in your premises. All motor vehicles must be covered by the usual road tax and insurance documents, but when a vehicle is used for commercial purposes the insurance that is needed could be different. If you have a fleet of delivery vans or have sales reps that use their cars exclusively for their jobs, check with your insurance broker for any special arrangements that must be included in your policy. This type of insurance can cover your business against any claims made against it by its employees. 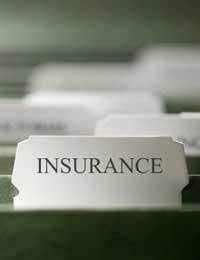 This insurance is not essential for all businesses to have, but in enterprises with volatile employee relationships, this type of insurance could help you in the event of a dispute. Some businesses in the professions such as accountancy must by law have this type of insurance. This type of insurance covers your business in the event that it acts unprofessionally, or is sued because of alleged negligence. As most small businesses will have limited liability status the assets of the business’s directors is protected. However, if a business is the subject of a negligence claim by a third party, director’s insurance can cover you against these types of claims. Many small businesses now operate from home. It’s important to check that your buildings and content insurance covers your home as a business premises. Most domestic policies can be extended to cover operating a business from home, but check with your current insurance providers just to be sure. Every business is different. This means the group of insurances that are required will be unique to each enterprise. Your business should at all times be protected against as many risks as possible. Look closely at each policy to ensure it offers the cover you need and always buy your insurance from a registered broker. Lastly, review your insurances at regular intervals. Businesses evolve, which could mean you also need to change the insurance cover you have attached to your business.